July 1963 cover by Francis Merritt. 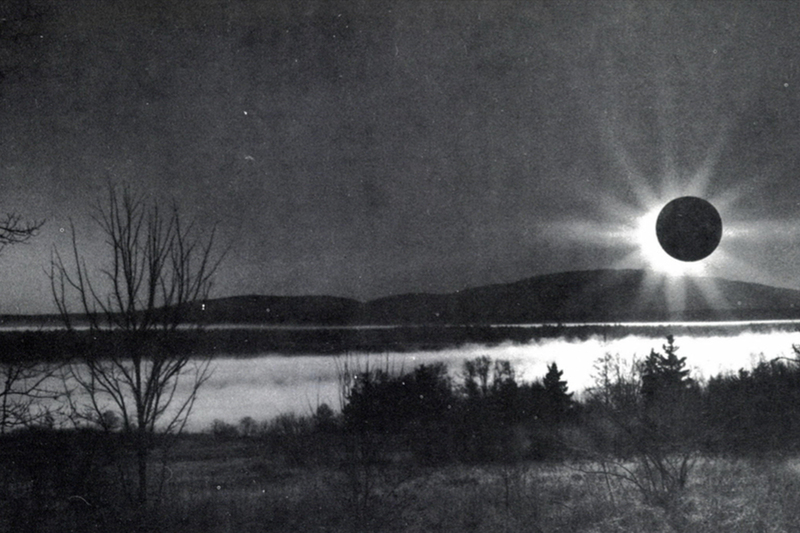 Back in the autumn of 1961 an inquiry from some farsighted scientists reached the Chamber of Commerce in Bangor, Maine. 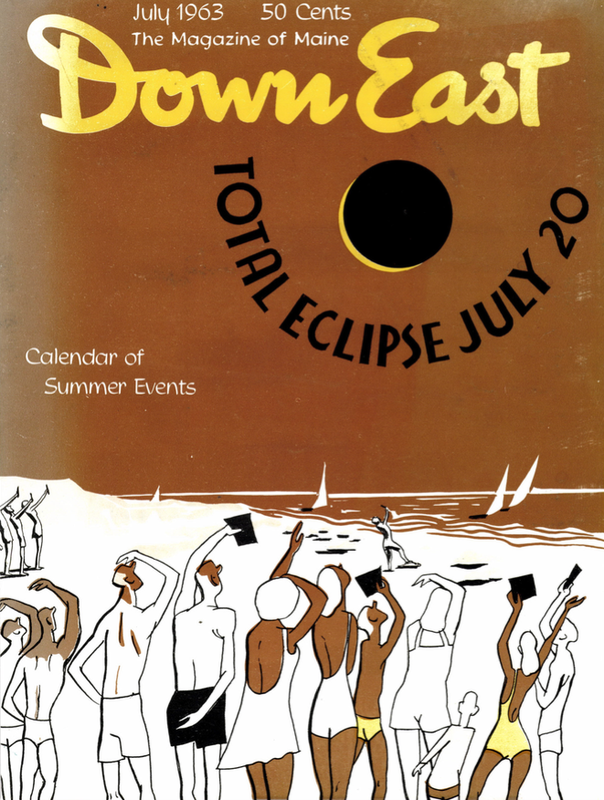 A forthcoming total eclipse of the sun, it stated, would occur late in the afternoon of July 20, 1963. Although the path of visibility of the phenomenon would be 10,000 miles long, it would be so narrow as to cross merely a fraction of one percent of the total surface of the earth. In fact, within the United States the total eclipse would be visible only over a thin strip of Alaska and along a path 53 miles wide across the middle of Maine. Since Bangor was the largest community within that path, would its Chamber of Commerce kindly inform the writer about available sites for observing the event? In hearty concurrence, Governor Reed turned Mr. Merriam’s letter over to the Department of Economic Development. With Mr. Merriam and four scientists, representing each of Maine’s major colleges, as technical advisors, DED appointed Richard A. Hebert as coordinator to marshal Maine’s resources for entertaining thousands of professional and amateur astronomers, together with many more thousands of residents and summer visitors. It quickly became evident that overall preparations for Maine’s moment of glory hadn’t started a bit too soon. From the first cautious estimate of probably 10,000 extra visitors who might choose to spend the July 20th weekend in the area of total eclipse, the figure mushroomed — along with a mounting flood of reservations. The latest expectation is that fully a quarter of a million people will surge into the Maine communities along the eclipse’s path of totality on July 20, and fully half of these will come from outside the state. In round numbers, this is comparable to more than the entire population of Alaska — the only other state where the total eclipse may be seen — moving en masse into a strip of Maine’s vacationIand. The northern edge of the eclipse’s path runs from Armstrong, Quebec, southeasterly to Jonesport, passing through Milo and Columbia. Its southern boundary starts four miles northeast of the junction of the Maine, New Hampshire and Quebec borders, going out to sea through the town of Stonington on Deer Isle. 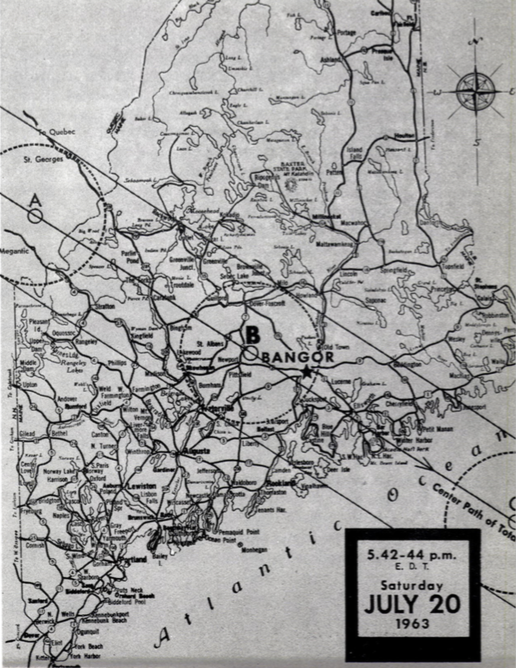 But the central path – near which the full 59 seconds of the total eclipse may be observed — enters Maine in the remote northern reaches of Franklin County, crossing its first major settlement at Pleasant Pond and proceeding through Cambridge, Corinna, North Newport, Carmel, East Bucksport, West Ellsworth and Bar Harbor. The larger towns near the central path of the eclipse are the ones which have been laboring, for many months, to complete their hospitable arrangements. And their human efforts to measure up to the demands that will be made upon them have been slightly competitive but wholehearted. For instance, the town of Dexter, “in the heart of Maine” and almost in the center of the eclipse’s totality belt, wasn’t even included on the first “eclipse map” prepared and sent out by DED. Yet Dexter was selected by eager observation groups from as far away as the Kitt Peak National Observatory in Tucson, Arizona, and as near at hand as the Hayden Planetarium in New York. At last count, fifteen separate parties, whose numbers strained the area’s limited hotel accommodations, had registered, and a special housing committee of the Dexter Development Association had placed the overflow in private homes. Some of the groups preferred to camp out, so 200 campsites also have been provided by the Dexter Fish & Game Association, and by a private lakefront owner, who has installed water and other essential facilities for the comfort of his guests. Private owners of high, westward-facing land have registered their available sites of observation, and the town of Dexter has prepared a special map, including access roads, to aid visitors in reaching them. Also, the Citizens’ Band Club of radio hams has organized to broadcast viewing conditions at various points on the day of the eclipse, and to guide observation parties to favorable spots. In order to provide entertainment before and after the heavenly show, Dexter’s traditional 4th of July celebration is being held during the eclipse weekend — along with such extras as a fishing derby, barbecues, dances, and various get-togethers in true Maine style. The Grange, the churches, and other organizations will serve meals to supplement those offered by established public eating places. 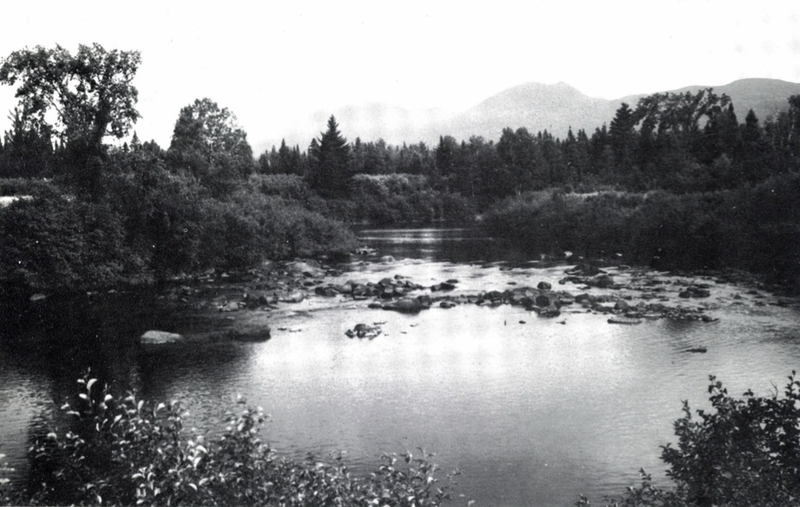 Inland Maine elevations, such as the Bigelow range, seen above, offer excellent vantage points for observing the eclipse. Other communities also have planned special events for the weekend of the eclipse, such as Ellsworth’s eight-day bicentennial celebration. Still others have found it necessary to expand their facilities in unexpected ways. Skowhegan, for example, is setting up wire services for newsmen in the Skowhegan Armory. Bar Harbor is making similar arrangements for communications personnel, from all parts of the nation, who will trek to Maine to cover the eclipse. 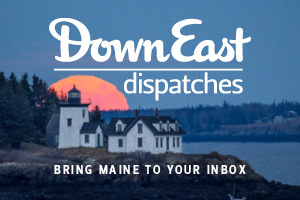 In Bangor, where most of the news reporters may be expected to concentrate, existing facilities of the several broadcasting stations and of the Bangor Daily News will be available. Overall arrangements for the State of Maine to receive at least 250,000 extra visitors on a normally busy summer weekend, have required intensive planning to insure a maximum of traffic safety. The State Highway Commission will endeavor to have essential repairs on major routes completed bv July 20 or, in any event, to get heavy construction machinery off the roadways cluring the eclipse weekend. Undoubtedly, many thousands of people will drive into the area of totality to view the eclipse, then return to their homes or hotels elsewhere. However, visitors who plan to view the eclipse and to remain within the region of totality for the weekend or longer, should lose no time in reserving accommodations at the place of their choice. At Bar Harbor — with Cadillac Mountain as an ideal viewing station, smack in the center of the path of the total eclipse — reservations for that weekend have been taken for motel accommodations and for campsites for over a year. Also, space is being booked in advance for scientific observers to have ringside seats on Cadillac Mountain. But the general public, planning to view the phenomenon from the mountain, must take their chances on a first come, first served basis. There is room for a maximum of 850 automobiles to park on the mountain itself and on one side of the road to the summit, but once these spaces are filled, later comers may ascend the mountain only on foot or, possibly, by special busses which may be provided to transport passengers from the base of Cadillac. Reckoned from present reservations, a minimum of 75,000 people are expected to view the eclipse from the Ellsworth-Bar Harbor area. Mt. 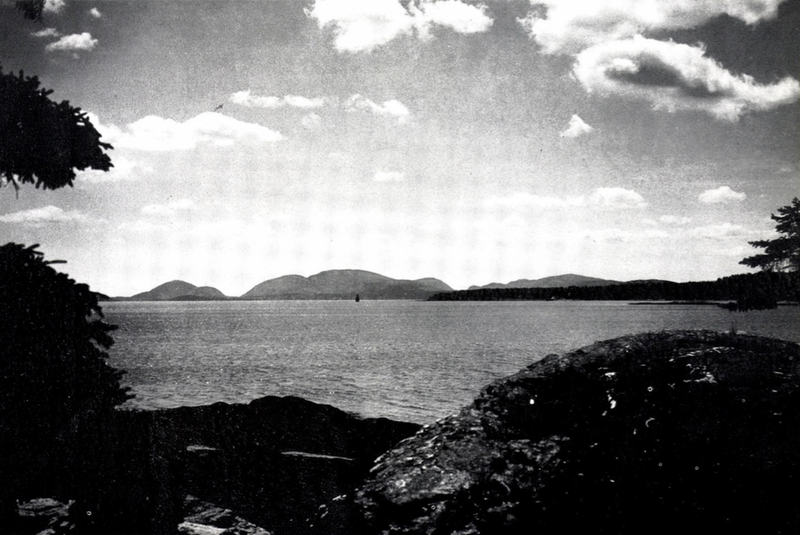 Desert’s coastal peaks, lying to the west across Frenchmans Bay, are in the center path of obscurity. Those within or near the center of totality may view the total eclipse for the full 59-62 seconds allotted by nature. At Pleasant Pond Mountain near Caratunk, where the Harvard Observatory’s Sky and Telescope magazine delegation will record its studies of the total eclipse, there will be a full minute in which to do so, beginning at approximately 5:42–5:43 p.m. Eastern Daylight Time. At Orono, the period of totality will be just under one minute, but many observers, who are making the University of Maine their headquarters, will devote a number of days to related studies before and after the eclipse. Among these are Dr. James S. Haeger of the Florida State Board of Health and Dr. Erik T. Nielsen, internationally known entomologist from Denmark, whose researches will be directed at the swarming of mosquitoes in relation to the phenomenon. 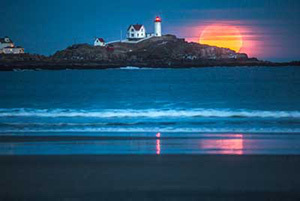 The largest single group to come to Maine for the event numbers about 1000 members, wives and guests of the Astronomical League, whose annual convention is being held at the University from July 15–21. Although the zone of totality is roughly 53-55 miles wide, there will be only the briefest glimpse of the full spectacle on the outer edges of its path. At Clinton, for instance, in northeastern Kennebec County — and at Stonington, at the extreme southeastern point of passage — people will see a total eclipse, but only for ten to twenty seconds. Five or six miles deeper within the path, the total eclipse will last for as much as 58 seconds — just one second less than its duration at Bar Harbor. However, the full show — from the beginning of the partial phase until the moon finally passes beyond the sun’s outline — will be about two hours and five minutes. Anyone who has witnessed a total eclipse of the sun is likely to find the most eloquent descriptions of the phenomenon inadequate. Mankind has been terrified, inspired, and instructed by this most awesome of astronomical spectacles since before the dawn of history. A partial eclipse occurs when the black body of the moon, passing between the sun and earth, can be seen in stark contrast to the brilliant circle of the sun. (Primitive people thought that a partial eclipse was caused by a monster taking a bite out of the sun.) But during a total eclipse, the moon covers the entire body of the sun, which then displays the never-to-be-forgotten mysterious glow of its outer atmosphere. No one should attempt to view the phenomenon with the naked eye, or through ordinary telescopes, field glasses or opera glasses, since serious damage to the retina of the eyes may result. A piece of smoked glass, over-exposed film, or polaroid glasses afford the best protection for the eyes. One suggestion is to break a cheap pair of polaroid glasses in two and look through both lenses, turning one with respect to the other to vary the density. From favorable locations — on a westward-facing height, without obstructions — the approaching shadow cone may appear as an awesome storm cloud, which causes the temperature to drop as it rushes onward. Ghostly shadow bands, very like the ripples on a pond, may be visible on the ground. Another interesting ground effect may be seen in little round spots, if the light of the sun shines through foliage, each of which becomes a crescent image of the sun. Then comes a fleeting phase known as Baily’s Beads, caused by the last rays of the sun shining through valleys of the surface of the moon. Baily’s Beads will be seen best by those who use crossed polaroid glasses, since the filter can be depressed as the total eclipse approaches. Just as the sun disappears or reappears, flame-like prominences of a reddish hue may be seen. Finally, the corona appears — the outer atmosphere of the sun, glowing with strange luminosity around the dark body of the moon. The corona is seen as a complete ring around the sun because the sun, which is about 400 times larger in diameter than the moon, also happens to be about 400 times farther away, so that both bodies appear to be nearly the same size. Because of weather disappointments, it is estimated that during the last century scientists have had Iess than an hour to study the corona during eclipses. Even by laymen, it usually is remembered as the most marvelous of visible natural wonders. During the course of a total eclipse, all nature becomes hushed. Although the darkness during an eclipse is comparable to that of the half light of a full moon, birds seek their roosts, and the brighter stars appear. Rather low and to the north of due west, the twin stars Castor and Pollux will be seen. Farther still to the left and higher in the sky will be Leo, the Lion, with the bright star Regulus in the handle of the Sickle. There will be two planets near the sun: Venus will be to the right and very low in the sky; Mercury will be higher than the sun and to the left. Mars will be in the south, having crossed the meridian shortly before the eclipse began. Neither Jupiter nor Saturn will be visible. Maine will not be visited by another total eclipse of the sun within the next 200 years*, and it is possible that a future generation, preparing for a recurrence of the phenomenon, may enumerate the history-making data which will be derived from the eclipse of 1963 and find our elaborate preparations “quaint.” Nevertheless, the small individual Maine communities, claiming their important places in the sun’s eclipse, have earnestly and hospitably tried to put their best foot forward. And on July 20 they hope to demonstrate how wholeheartedly the State of Maine can share its vacationland advantages, even under phenomenal circumstances. From our July 1963 issue. * Turns out, Maine will experience a total solar eclipse on April 8, 2024.  Please let those of us who subscribe to Down East to get a head start on 8 April 2024 by letting us know the locations of totality so we can make reservations, Thank you!! Hello, Bob. You can check out the path of the total solar eclipse of 8 April 2024 via an interactive Google map here: http://www.eclipsewise.com/solar/SEgmap/2001-2100/SE2024Apr08Tgmap.html. The path of totality runs from western Maine to New Brunswick, through the Maine woods. The southern edge of totality runs north of Bethel, Farmington, Skowhegan, Bangor, etc. Not quite as optimally placed as the 1963 eclipse path!